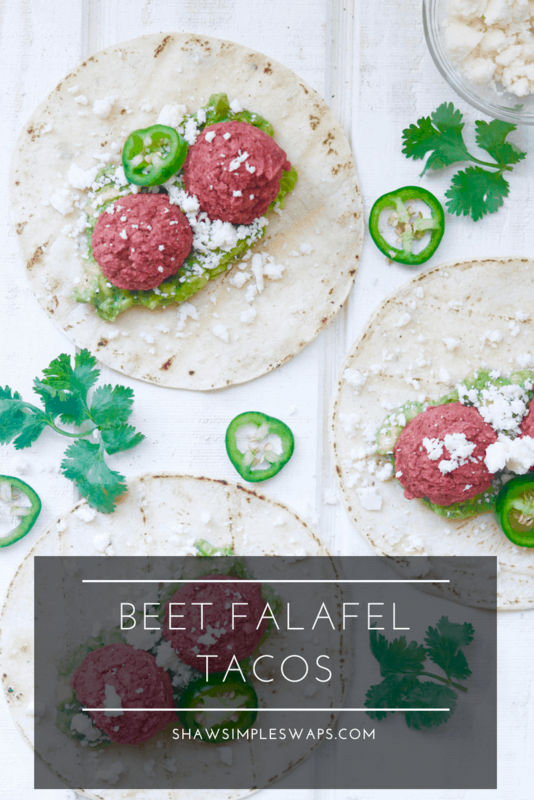 Did I say beet and falafel and taco in the same sentence? Why yes, yes I did! I mean the name itself screams happy am I right? 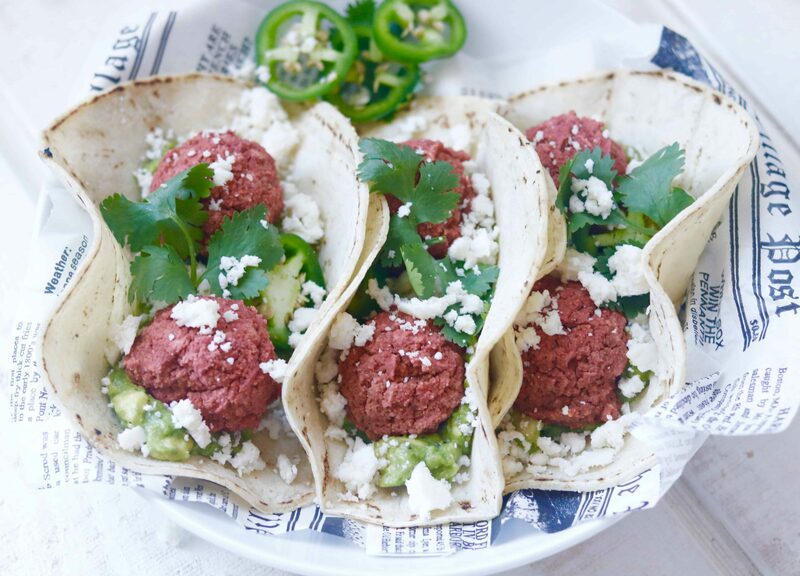 But, back to how these Beet Falafel Tacos relate to Taco Taco Taco! You see, Sara reached out to me and asked if I’d like to share a recipe for her cookbook. Naturally I jumped at the chance and decided to create a taco version of the most popular recipe on the blog, these Beet Falafel Sliders! 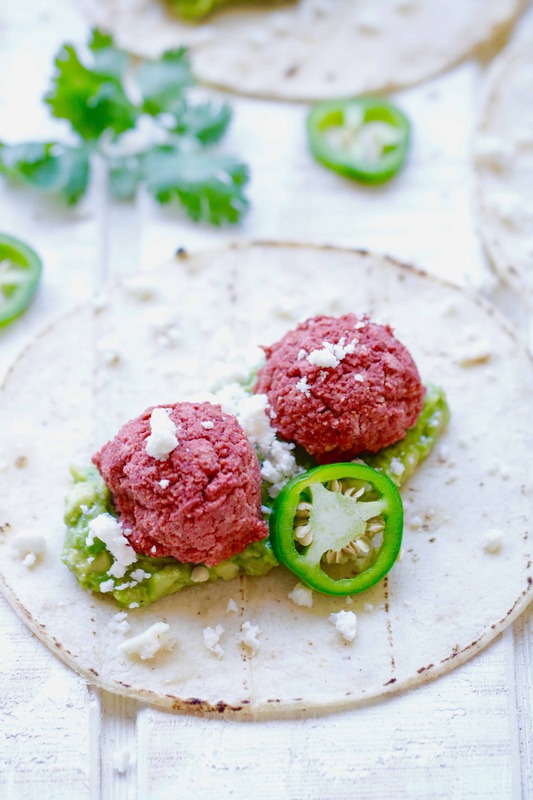 And then… Beet Falafel Tacos were born! 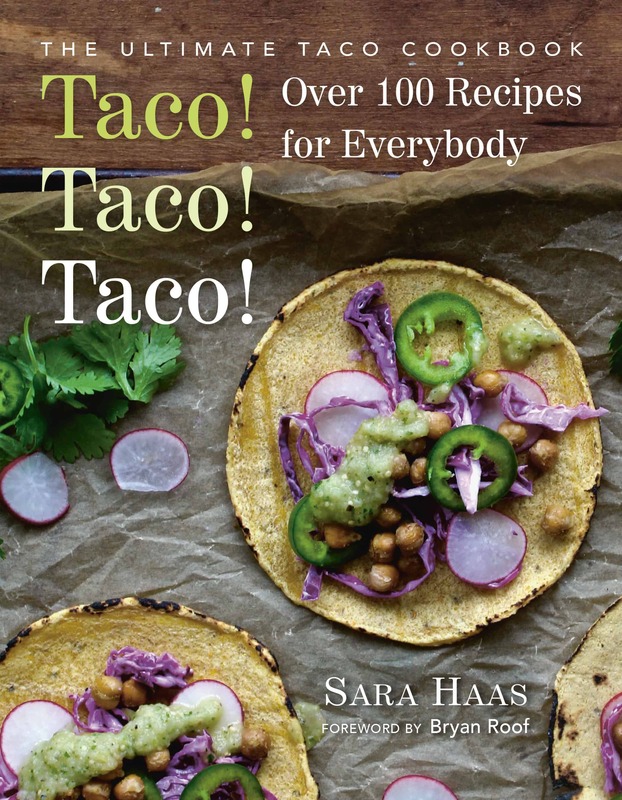 But, seriously, if you are more a carnivore loving taco fan, Sara’s got you covered there too! From Skirt Steak Tacos to Pineapple Pork Tacos and even an entire selection of dessert tacos, there’s a taco for every person in this book. 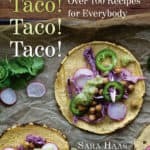 If you’re in the market for a fabulous cookbook to add to your summer recipe collection, I highly recommend ordering yourself a copy of Taco Taco Taco here on Amazon. Plus, you can rest easy knowing each and every recipe is chef tested, toddler approved! Yep, Sara’s sous chef, her 5-year old daughter, has tested and retested each recipe to ensure it’s the highest quality for you and your loved ones. Now, who’s ready to dive in to Taco Taco Taco with me?! A delicious vegetarian taco the entire family will love! To make the beet falafel: Preheat oven to 375℉ and coat a large baking sheet with non-stick cooking spray. Using a 12-cup food processor add beets, jalapeño pepper and garlic cloves. Pulse a few times, scrape down the sides of the processor with a spatula and pulse a few more times, until chopped. Remove lid, scrape down the sides again and add in garbanzo beans, pulse 10 to 12 times, scrape down sides again, and process another 20 seconds. Add in masa harina, cilantro, cilantro and salt and process 10 seconds, scrape down, process another 10 seconds or until combined. Mixture should resemble cookie dough consistency. Divide batter into 16 equal-sized pieces. Roll each piece into a ball then place on prepared baking sheet. Bake for 25 minutes or until tops are lightly browned. To make the avocado mash: Remove flesh from avocado and add to small bowl. Mash with the back of a fork until smooth. Mix in garlic, lemon juice, cilantro, white onion, salt and pepper. Set aside. To assemble: Warm tortillas and spread avocado mash over the center of each. Add 2 falafels on top and garnish with cotija cheese and chopped cilantro. Enjoy! Saving Tip: Falafel can be store in an air-tight container in the refrigerator for up to 5 days or in the freezer for up to 3 months. Ummm, I already knew I loved this book but I love it even more now! YES! So many wonderful tacos!! These are so fabulous and am so grateful you allowed me to share this recipe in my book! You’re the best!!! Liz these are so fun and creative!! Def saving for my next taco night.